The 2018 Hoka One One Dash For Doobie fields look as strong as ever. The boys meet record of 8:58.37 looks to certainly be in jeopardy. The girls field looks to be as deep as it's ever been with many Foot Locker/NXN capable athletes entered into the field. Entires close this Sunday at Midnight as this years meet looks to be the biggest yet! If you run for your school the event can qualify you for the NCHSAA Indoor State Championships. You can get the standard out of the way before the season even gets into full swing! For the past 11 years Reagan High School has hosted its post XC season 3200m tune-up. Athletes looking to PR one more time, or getting ready for their Footlocker/NXN races have made this one of the best 3200m fields in the nation. Join us on November 17th to close out your XC season, start your indoor season, and set a big time PR! 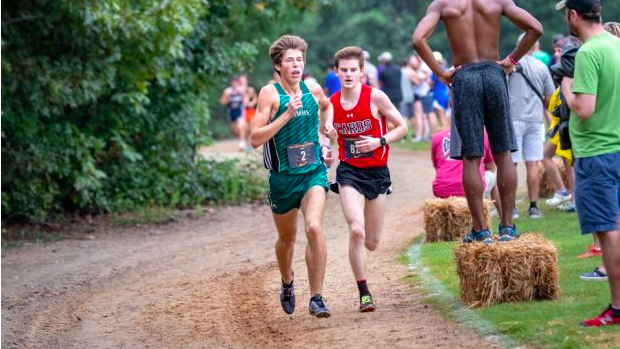 Last years edition of the Dash for Doobie resulted in a #3 and #4 All-Time 9:00.14 and 9:01.72 performance from Cameron Ponder and John Tatter. Tatter went on to win Foot Locker South and place 4th at Foot Locker Nationals. Mariah Howlett won the girls race in #5 All-Time fashion clocking 10:39. Howlett would go on to place 4th at Foot Locker South and 20th at Foot Locker Nationals. This years meet already has entries from North Carolina, South Carolina, Tennessee and West Virginia. Below is the history of the Dash for Doobie as we head into the 11th year of the meets existence.